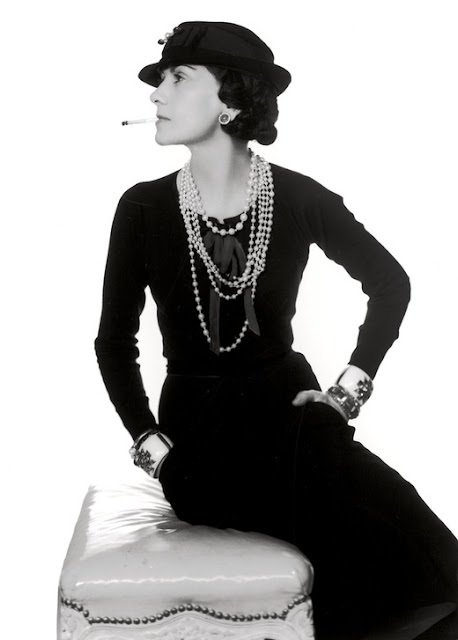 Nest by Tamara: Channeling Coco Chanel: Life Lessons About Art, Fashion & Design! Channeling Coco Chanel: Life Lessons About Art, Fashion & Design! Why "Thinking Outside The Box"
When it comes to creating style and beauty, there is something inherently fresh in naivety. A purity of intent exists when one is not studied but rather, goes forth of their own accord, not biased and unencumbered by other people's ideals and standards. Let me elaborate--I called myself a clothing designer for many years, but I often had moments of hesitation when saying it out loud because I was not trained as a fashion designer. However, I had a passion for fashion and a natural instinct that would simply not quit, so in my tenacity and regardless of my lack of training, I decided it was my career path. My first creations were pinned together prototypes that I embarrassingly handed over to my cutting room in the New York City Garment District where I apologized profusely for their state. I made excuses like “I was in such a a rush to get this to you...”, or “my sewing machine broke”. Regardless of my initial limitations, over the years I went on to create truly stellar original designs often concentrating on the back of my creations with unorthodox trim detailing that would drive my pattern makers crazy! I also created dresses with sheer panels and cut-outs and other finishes before anyone else in the industry even noted the now popular trend. I’m sure this was possible in part because I worked from my own instincts and natural flair and without pulling from outside influences. That was ten years ago yet most of my creations are still wearable today. My point is that often design comes from within, and while we may take influences and inspirations, we should trust our inner instincts. 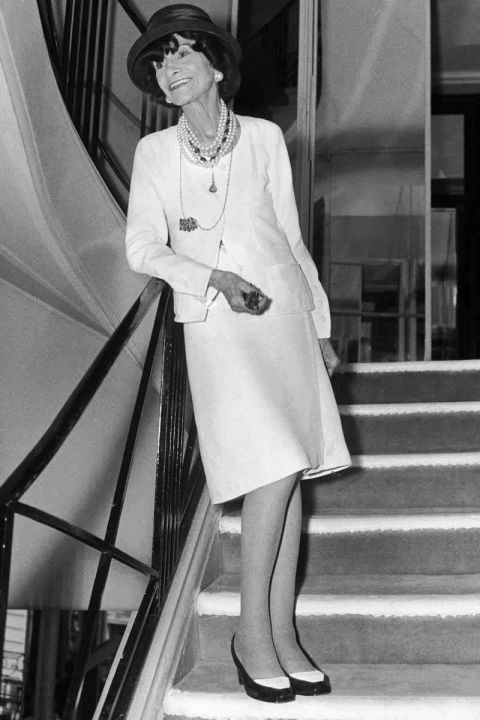 I have long-loved iconic and talented fashion designer, Coco Chanel who was born in 1883 as Gabrielle Bonheur Chanel in the town of Saumur, France. She had a rough start at life. Her mother passed away when she was young, and her peddler father abandoned her and her two brothers and two sisters to work on a farm. Gabrielle and her two sisters went to live in a convent. 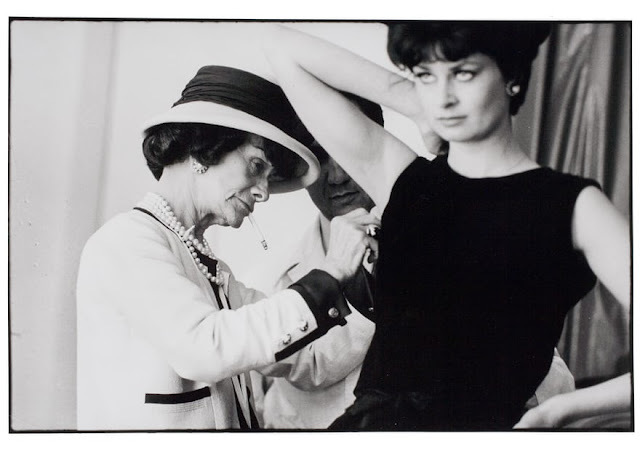 It was there she learned to sew which proved instrumental to her future because she later became one of the world's most famous fashion designers. Even though the nuns had taught her to sew, several of her earliest creations were merely pinned and given to her seamstress--a fun fact I relish! She also worked briefly as a cabaret entertainer where she met some of the more wealthy members of society. A man named Etienne Balsan and another named Arthur “boy” Capel were both instrumental in financing Coco’s first fashion venture, a millinery shop on Rue Cambon. 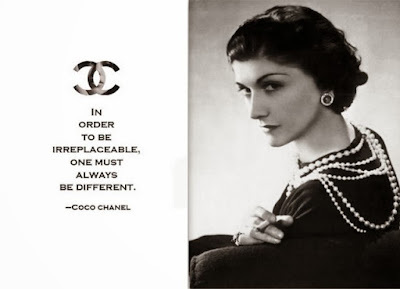 This is a perfect example illustrating how instinct and talent dovetail nicely driving Chanel forward to great success. Her Paris atelier and apartment--which today is still talked and written about in many design circles--is perched above the original 31 rue Cambon location. Since 1983, Karl Lagerfeld resides at the helm of her now famous fashion house. 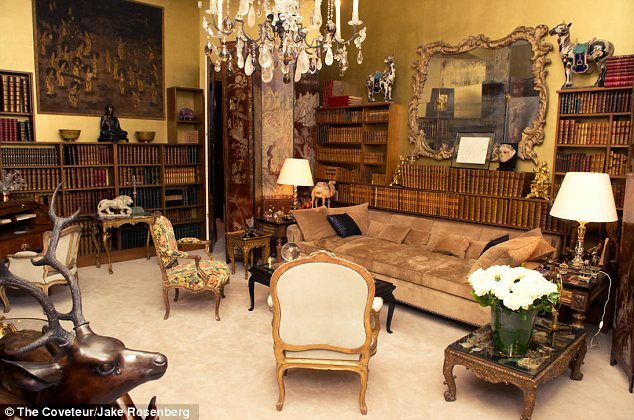 Although she never slept there, Chanel's boudoir was next door to the Ritz Hotel in Paris. 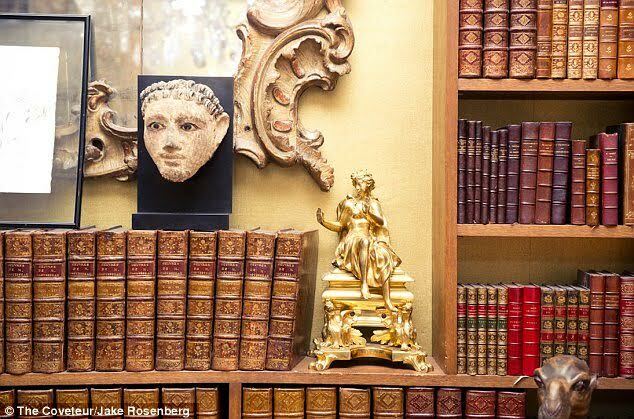 She would enter through a doorway into her salon where she received and hosted guests. Her apartment is open for visits today, and it is eclectic and layered, some say even more so than the clothing she designed. All the wares she loved played a role in the decoration of her home. She was superstitious and believed in the healing power of crystals. 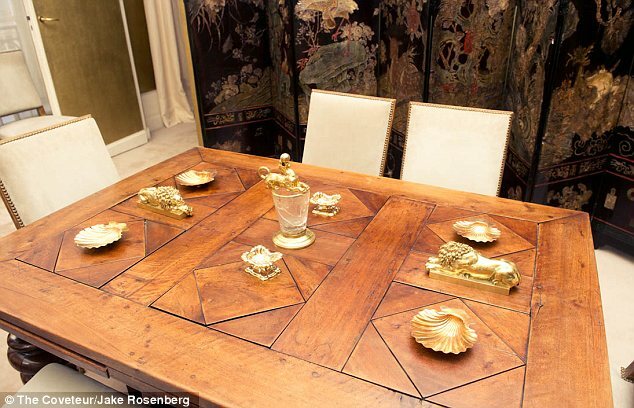 She was partial to good luck charms, chandeliers and followed the zodiac signs. She utilized lions in her home (her sign was Leo) to accessorize. She fervently believed, “an interior is a natural projection of the soul” and her home reflected her irreverent approach to life. 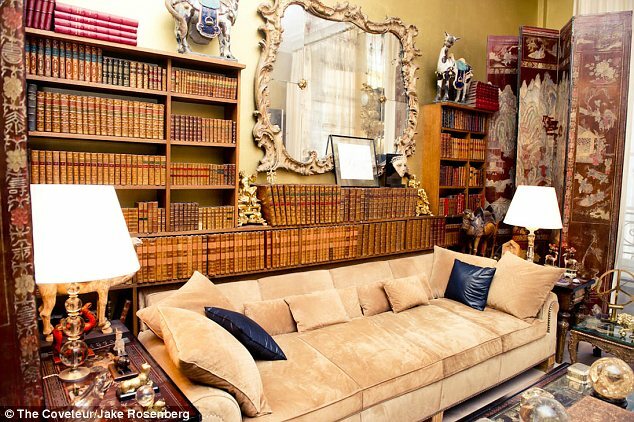 Her infamous quilted sofa is a manifestation of pure comfort combined with high style. At that time, sofas were upholstered with more formal velvet or silk but she made the bold decision to cover her sofa in suede. This approach to interior design was considered avant garde at the time! 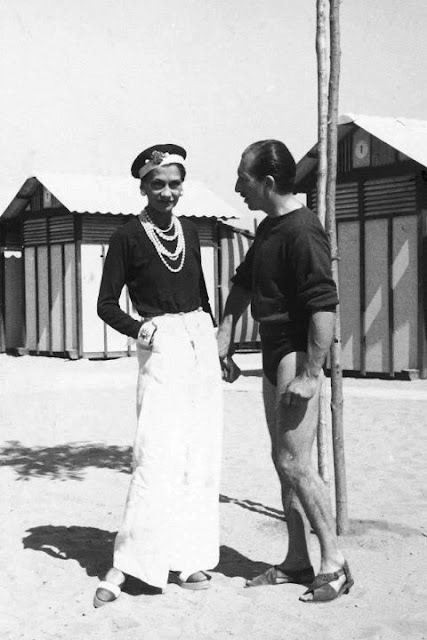 Since I am severely afflicted with “fashionitis”, I can’t imagine a world not touched by the pure innovative creativity that emerged from this woman. Today, I have expanded my career from fashion to the home market. As the owners and designers of home textile company, root cellar designs, Tamara and I bring this same perspective to the designs we create and offer. While we are certainly influenced by our world and the design industry, we focus on our natural instincts when creating patterns and designs for the interior design industry.